Partial Charge - 10% if cancelled prior to 7 days before check in date. 50% if cancelled less than 7 days prior to check in date. our best to provide a similar unit or give you a refund without penalty. signing this agreement, your reservation will be cancelled. prices will be based on prevailing costs at that time, and will be contingent on availability. Rental Payment- The rental payment is due in full the business day prior to check in. before you departed, although we will make every effort to contact you prior to charging your card. 11:00 A.M. This turnover time is to facilitate the cleaning of the units. the right to apply credit card charges as part of our damage deposit policy for these expenses. 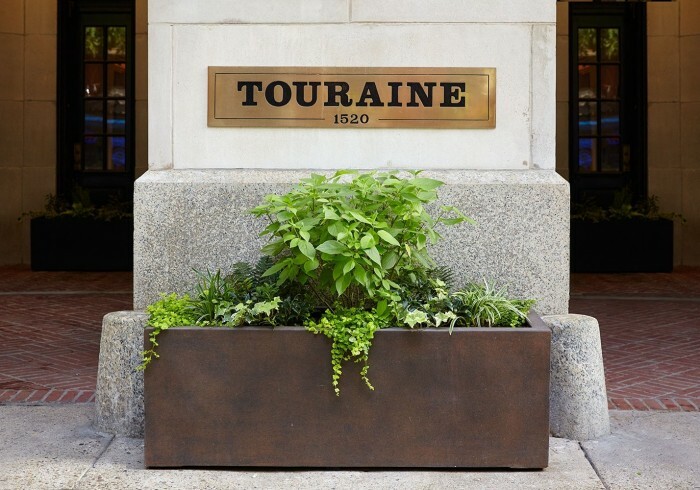 Additional Housekeeping- Touraine L.P. takes great pride in the maintenance of our homes. cleaning. Moving any furnishings is not permitted. in a $250 charge for ozone cleaning of the unit. of $100.00 will apply and must be paid at check out. Rules and Regulations- Guest also agrees to abide by the rules and regulations listed below. of the Guest Suite Agreement. Any violation is a breach of the Guest Suite Agreement. be done in an expedient fashion, alerting the office as soon as possible. for the safety of others, and all persons agree to do so at their own risk. Guest does not remove it, Touraine may remove the property from the area, at Guest's cost. 6. Guest does not have parking privileges on the Property and may not park on the Property. matter from the Guest Suite. 9. Guest may not use grills or barbecues anywhere on the Property. instruction. Guest may not have a piano or organ in the Guest Suite. Pennsylvania or the United States. motorcycle, scooter, motor bike, truck or trailer in the parking areas. Suite after 5:00 p.m. on week days, and anytime on weekends or holidays. e-cigarettes, e-cigars, e-hookahs, and vape pens are also included in this definition. THANK YOU FOR CHOOSING TOURAINE, L.P.
We know you will enjoy your visit in our beautiful guest suite. Our suites offer the best place to staycation or sleepover when you’re visiting Philly! Our suites go above and beyond what you’d expect from even the best hotel rooms out there. Every detail will be as cozy and inviting as surprising.